Great with the shoulder, neck or shanks or even the chump chops!. Preheat the oven to 160C fan-forced or 180C conventional. Tip the oil from the pan and wipe out with paper towel. Add a splash of oil, the onion, garlic and bay leaves, season, stir and cook for 15 minutes until sticky and caramelized. Return the lamb to the pot with oregano, allspice, sugar and tomato paste and stir through. Add the white wine and bring to the boil. Add the stock and passata, bring to a simmer. Place in the oven for two hours. 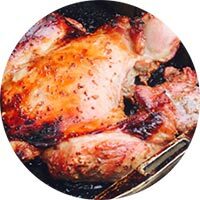 Uncover and cook for an extra 30 minutes, or until the sauce has reduced a little and the meat is tender and coloring up the edges. Remove bones from the sauce. 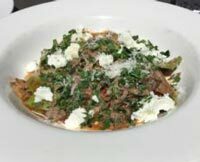 Serve with cooked greens, pasta and Chilli Gremolata and goats cheese. 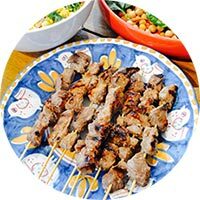 This is a quick and easy marinade to use on your lamb and create a tasty meal. You can use almost any part of the lamb but I used the chump chops for mine and it was great. Combine all the marinade ingredients together. In a container place the lamb and pour the marinade onto the lamb rubbing it in as you pour. Marinate the lamb over night. Remove the lamb from the refrigerator 1 hour before cooking. Take ¼ cup of marinade for the sauce. Baste the lamb while cooking with the remaining marinade. Cook on closed BBQ for 45 mins to 1 hour depending on thickness. For the sauce heat the marinade, water, soy sauce and honey in a saucepan. Blend corn flour with water in a cup and add to the sauce mixture. Stir until sauce boils and thickens.